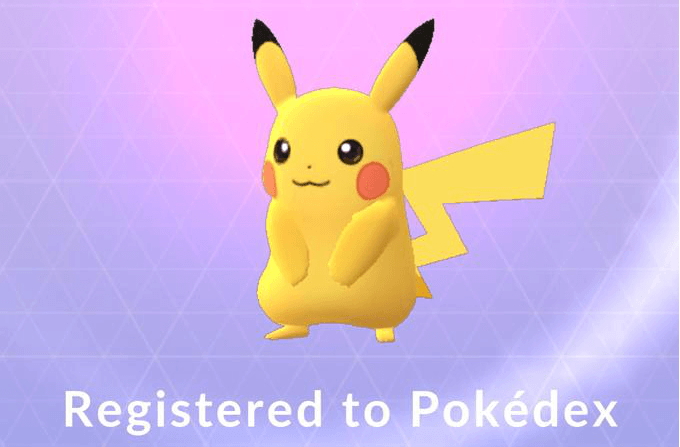 Catching Pikachu as a Starter! Credits to TheAztek for finding this easter egg! To choose your evolution, rename your Eevee to one of the following trainer names from The Battling Eevee Brothers Pokémon episode before evolving it! If you want to be extra safe, close your app and re-open it after renaming but before evolving to make sure that your name change went through properly. 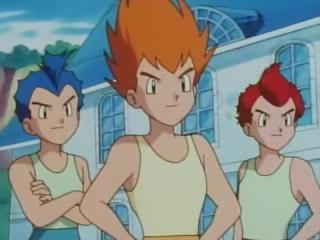 Note that this only works once for each evolution. 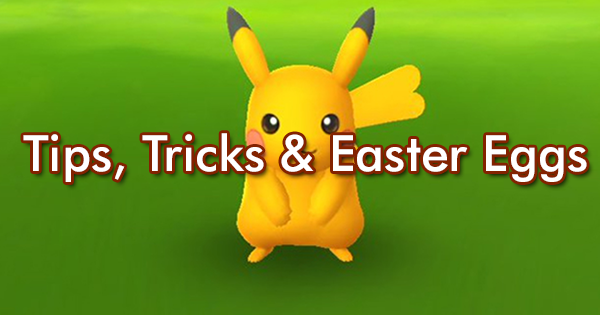 In addition to catching a Bulbasaur, Charmander, or Squirtle, it is also possible to obtain a Pikachu as your starter Pokemon. 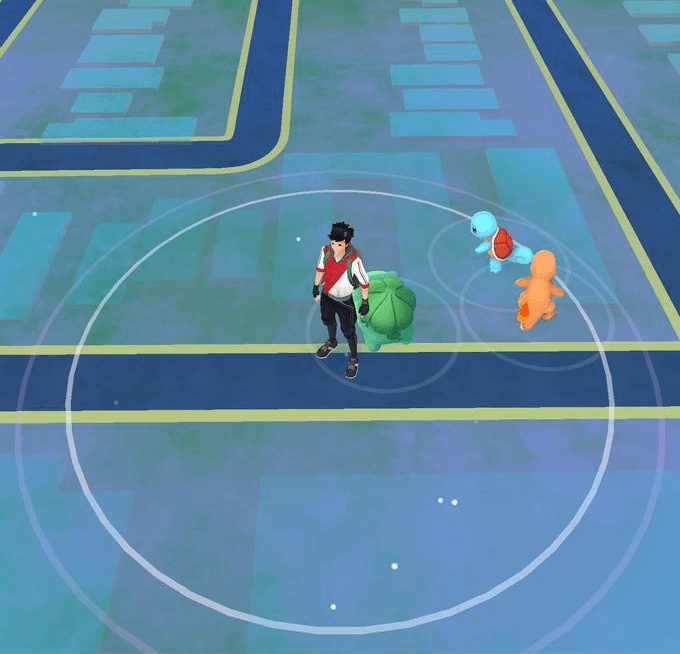 When first spawned, there will be a Bulbasaur, Squirtle, and Charmander within catching distance. Walk away far enough so that they are no longer within visible distance. Once out of visible distance, they will respawn again. Repeat until the three starters respawn 4-5 times. 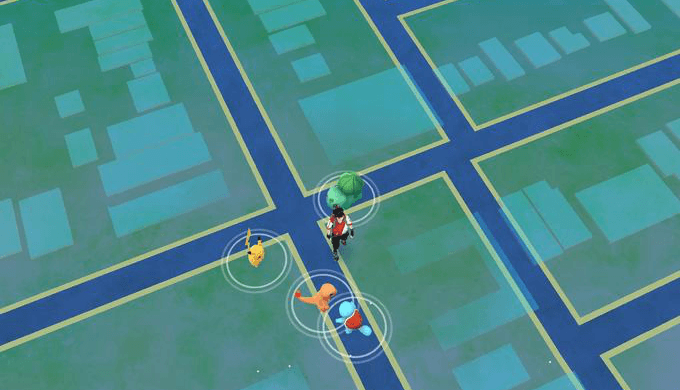 Around the 4-5 time, there'll be a ripple that signifies a Pokemon's presence but with no Pokemon above it, tap it a few times and a Pikachu will appear. Pokeball Throwing Technique "The L Throw"
The "L Throw". 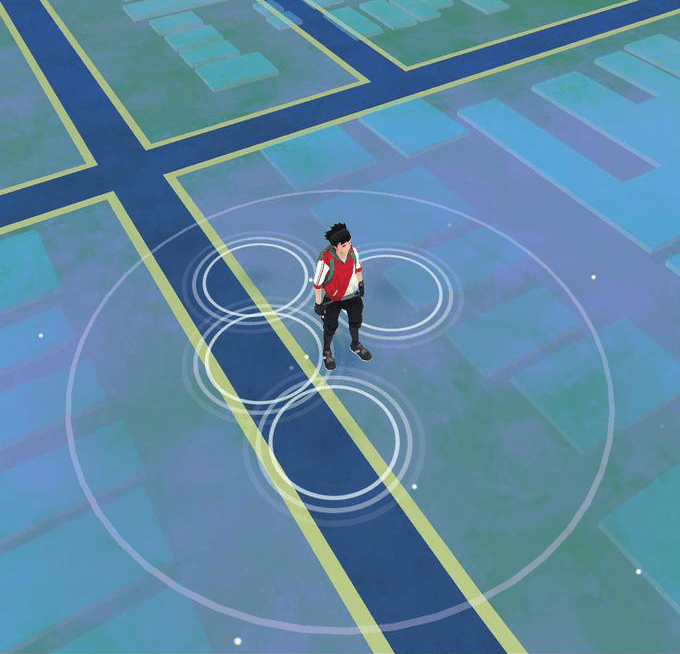 A neat little trick to make catching Pokemon easier. Pull the Pokeball to the left side of the screen. Now release, letting go when your finger is at the height of the Pokemon.